Help solve hunger every day. Show a needy child you care all the time. Hunger is not a short-term problem and neither is the solution. We need reliable, steady support to allow us to feed those in need every day of every month. That's why I am extending an invitation to you today to join our Monthly Giving Program. Join a community of supporters working all year long to help end hunger in our community. Every $10 donated to the Food Bank provides 130 pounds of food. So a $30 monthly pledge would provide 390 pounds of food...every month. For less than a cup of coffee each day, you could be that special someone who is always there for a child, making a huge difference in their life. To become a monthly sustainer is simple. Use the drop-down menu to choose monthly giving, or choose another recurring option. Because your gifts are automated, it means less work on your end and ensures that more of your donation goes directly to our program work. 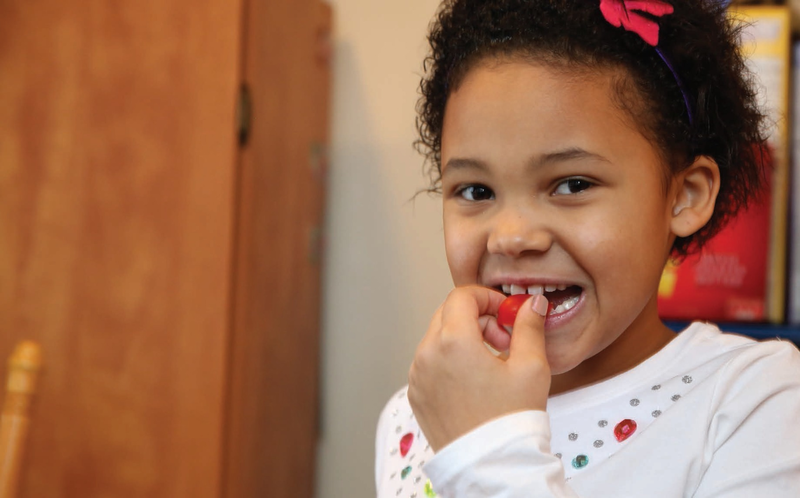 Let a child know that someone cares that she has a nutritious meal each night, that she isn't hungry on the weekend and that she doesn't go to bed hungry at night. We are donating to the Food Bank because this is what God would like for us to do. Because NO ONE should ever have to be unsure where their next meal will come from or if they will have one at all!